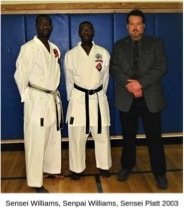 Most of you do not know me, but some of you who have been with the Dojo for a long time might remember me. Some Knew me as Sensei, others Senpai and others simply Al. I am the Sensei of the Mokurai Dojo in Wellington New Zealand And Kancho for CMAC in New Zealand, where I have been living for the past 15 years. My Brother, your Kyoshi Williams and I started the then Tsunami Dojo and Neighbourhood Wellness clinic together 25 years ago, this May. Here in New Zealand I am also a Transformational Life Coach, healer, speaker and workshop facilitator. I am the founder of ‘A New Way of Living’, the creator of the ‘The Seven Simple Shifts’ and Co-facilitator of ‘A Path to Your Awakening’. 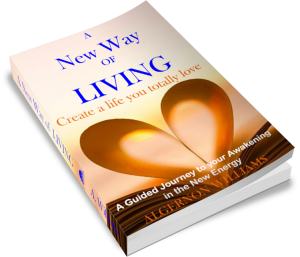 “Transformational in his content, inspiring and empowering in his message, Al offers new insight to the big questions. With over 3 decades working as a Transformation Life Coach, Karate Sensei, and healer, Canadian born, Algernon Williams has lived and worked in London, South America, The West Indies and New Zealand. He is a power house of experience and insight. Al dives right into the heart of the matter and looks at our commonly held attitudes towards work, family and relationships in this time of awakening. He offers a fresh view of life that challenges our habitual thinking empowering us to allow a new template to emerge living free, fulfilled with purpose and passion”. years of experience. As you read the teachings let them wash over you energetically as they are intended to be absorbed on a multi-dimensional level inviting you to feel the energy as well as the physicality of the words. These guided teachings deliver a message in a simple but deep way. They come with clarity and depth and are delivered perfectly, just as they are. The teachings are intended to ignite a remembering of what is essentially Universal knowledge. A message given to a room of 100 people will always be received in 100 different ways, all of which specific for that individual. Trust that you are receiving the right information for you, even if it may not seem so at the time. It may make sense later, long after the moment of receiving of it. Even if you think you have heard the topic before the teachings are jam packed with energy that will help you dive deeper into the topic. The words are just the entry point. I hope that you enjoy what I have to offer, and I am happy that you are on this journey with me. I personally warmly welcome you to these teachings as we together raise our energetic vibration higher and higher, moment by moment.